Hear your solos like never before. 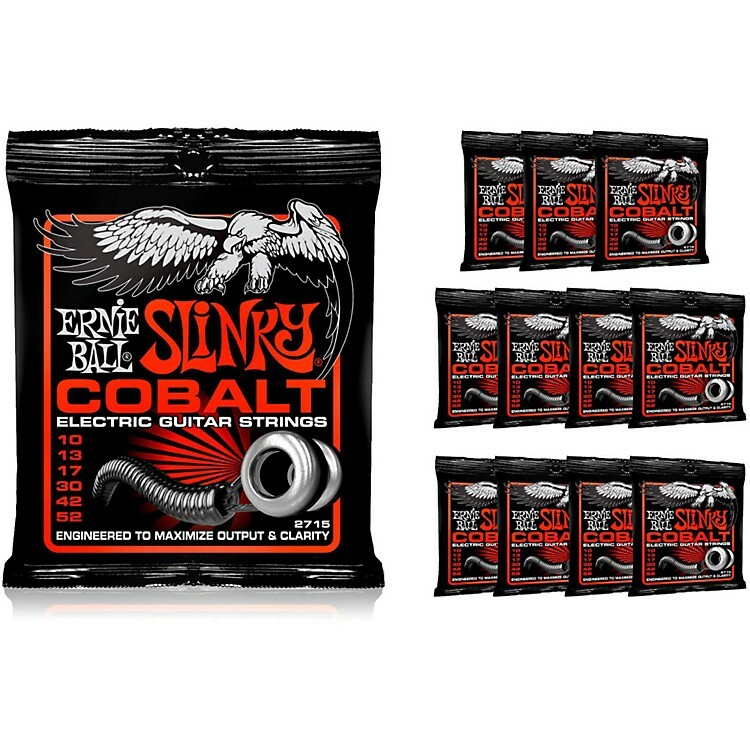 Ernie Ball 2715 Cobalt Skinny Top Heavy Bottom Slinky Electric Guitar Strings are the perfect hybrid set for those who like thick bottom strings without sacrificing the ability to solo on smaller strings. The Cobalt Series is clearly an improvement on its classic nickel-wound counterpart giving the player increased sustain, clarity, and output. In addition, they resist sweat and moisture better and have unmatched flexibility when compared to other nickel wound strings. All Ernie Ball strings are precision manufactured to the highest standards and the most exacting specs to assure consistency, optimum performance, and long life. Made in the USA. Feel the Cobalt difference today. Order now!